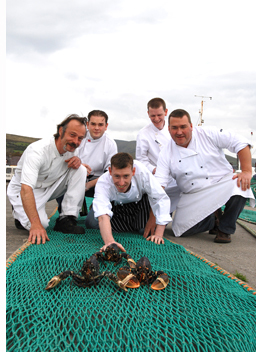 Things are getting pretty crazy here in Dingle with the food and wine festival right around the corner (Oct. 12th-14th). Things are really starting to take shape. It looks like Clodagh McKenna will be here as part of a TV series on farmer’s markets, and she will be giving a cooking demonstration in St. James’ Church on the Saturday at 12:00. 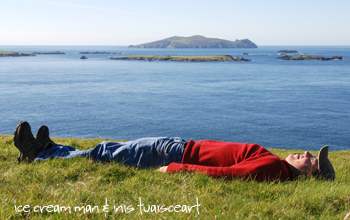 I had a bit of free time yesterday, and since the weather was stunning, I decided to take a jaunt out Slea Head. 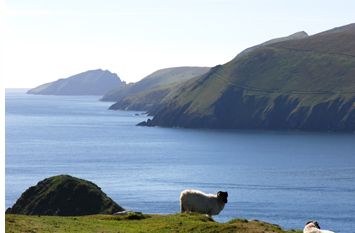 I don’t get back West as much as I would like, but when I’m there, looking out at the Blasket Islands, walking in the green grass, and basking in the calm, I think I surely must be blessed to have all of this at my doorstep. Sorry to put two slide shows back to back, but Mercier Press wanted a more colourful photo for the book cover than the ones I sent them previously (see here). I have to say that I think that vanilla could be the new black, and with a bit of melting action nothing more is needed, but I have to defer to professionals! Anyway, the above slide shows are the fruits of a photo session this afternoon, and I shot four cones together to add a bit of colour. I'd love to know what you, my valued readers, think! 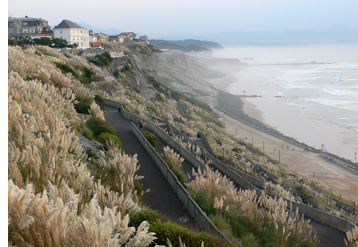 One could get used to life in Biarritz. A swim and then coffee in the morning, followed by a visit to the market, a day writing, and a sunset stroll before dinner to look out across the water and to marvel at the amount of surfers, bobbing around like a huge family of seals. 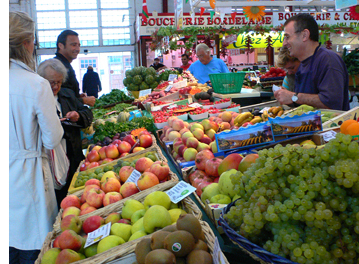 The markets in France have always been a source of joy for me. 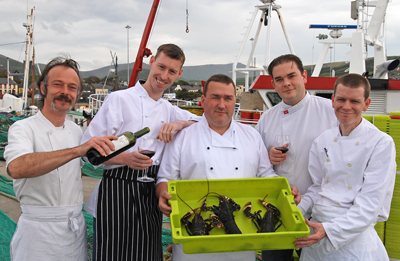 Life in Ireland has greatly improved with the advent of the farmer’s markets, but still we are a ways from what one can find on this side of the water – especially in terms of vegetables, fruits, baked goods, and freshly-caught fish. Every day, my lunch has consisted of booty collected at the market – prawns, local cheeses, fresh yogurt, and whatever looks especially tasty in terms of vegetables and fruits. 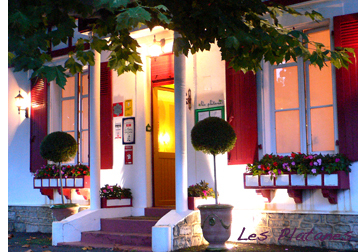 Les Platanes, a restaurant with a Michelin star, in an old house with plenty of charm. The service was friendly and the food was quite good, although perhaps not quite what one would expect given the reputation. Could be, of course, that the chef was distracted by the rugby and and not giving the cooking the usual attention. I’m guessing it’s bad form to go for a meal while “Les Bleus” are playing. From my perspective, however, given Ireland’s performances, I was happy for the distraction! That’s not me on the surfboard. No, I have been quite diligent here, working away on the book. 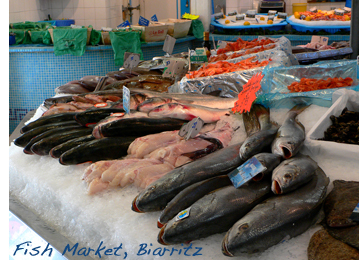 Still, there has been time to stroll around the place and get a sense of Biarritz. It’s surprisingly quiet, so I don’t know if we’ll be opening a shop here anytime soon! But the tranquility is what makes it appealing – a relaxed place, with slightly faded grandeur. 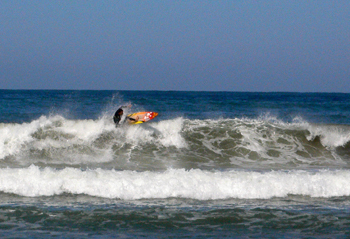 One thing is certain – it is very popular with surfers. The beach is packed with them. 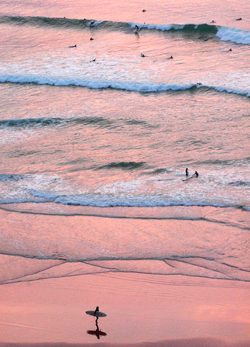 They are the only people who seem in a hurry – I’ve met a few running down the streets in wetsuits, boards tucked under the arm, to try to catch the next wave. 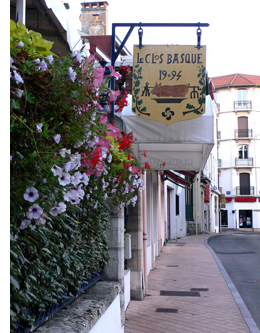 This evening I had a delightful meal in Le Clos Basque Restaurant (12, Rue Louis Barthou, Biarritz). Tucked away down a side street, the interior is charming with white-washed walls and starched blue and white tablecloths. Reservations are essential. So book ahead and don’t miss it. After all, what’s the hurry? The ice cream man has taken advantage of cheap Ryanair flights and fled the country for a bit of work on the book and some culinary re-charging. 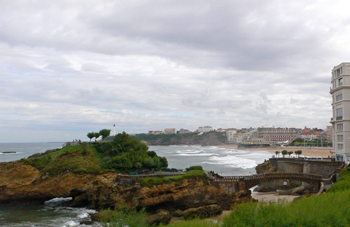 Sun was also part of the idea, but sadly it’s raining here in Biarritz. Then I found a wonderful indoor market just around the corner from the hotel. I sure do love France! Now I have a bag full of fruit that actually smells like fruit and some local cheeses. I have a baguette from the boulanger and, after a feed, it will be all work this afternoon. Or… will it? It looks like the sun is coming out! 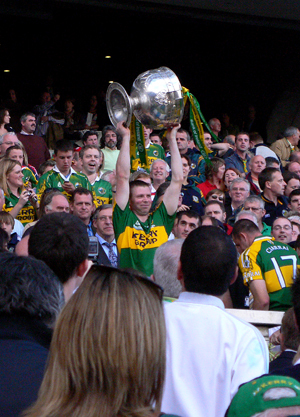 A group of us went up to the All Ireland. It was a great weekend – dinner in Chapter One followed by a pint or two. Then breakfast of a smoothie from Fallon & Byrne and a rake of sandwiches bought from same for the game. It wasn’t much of a match, but as long as Kerry keep winning, we won’t be complaining (and my apologies to any Cork fans out there!